Come play some 3x over the holiday break! 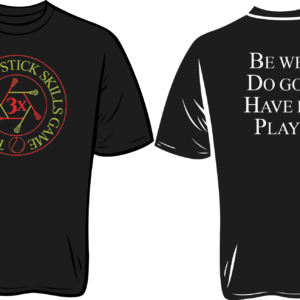 Start gearing up for the upcoming lacrosse season with 3x! Why: Because it’s too much fun and we want to play with everyone! NOTE: You may only register one participant per email. Please use additional emails to register additional participants. We are working to correct this glitch and apologize for any inconvenience. Tournament officials reserve the right to change any inappropriate names in their sole discretion. Keep it tasteful. Please provide this as EMERGENCY CONTACT INFORMATION in case we need to get ahold of someone during the Event. 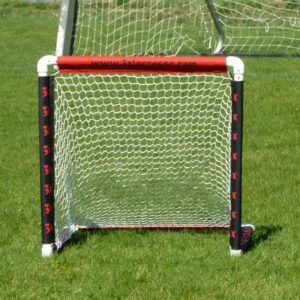 All participants MUST have an active US Lacrosse Membership for insurance purposes. . 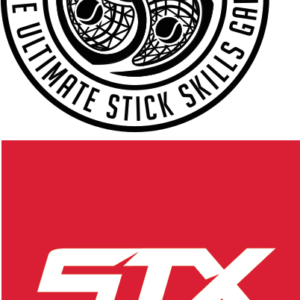 Player's current/most recent lacrosse team school or club. KING’S COURT LEISURE SPORTS, LLC d/b/a 3x and Futsal801 (collectively referred to as “3x”) IS NOT RESPONSIBLE FOR ANY INJURIES OR DAMAGES (INCLUDING ANY LOSS OF PROPERTY) TO ANY PERSON SUFFERED WHILE PLAYING OR PRACTICING 3X, LACROSSE, OR ATHLETIC PERFORMANCE TRAINING OR TESTING (“EVENT ACTIVITIES”), OR IN ANY OTHER WAY CONNECTED WITH OR RELATED TO THE SPORT OF 3X, THE SPORT OF LACROSSE, ATHLETIC PERFORMANCE TRAINING, TESTING, OR FOR ANY REASON WHATSOEVER. In consideration of my or my child’s participation, I, on behalf of myself, my child, and any other person or entity that could act on our behalf (collectively, the “Releasing Parties”), hereby knowingly and voluntarily agree that I will not hold 3x or their respective representatives, directors, members, managers, officers, employees, affiliates, agents, or contractors, including any volunteer, referee, or coach (collectively, the “Released Parties”), responsible for any and all present and future damages we may suffer arising from, related to or connected with my or my child participating in or receiving instruction in Event Activities or any associated activities. I promise not to sue any Released Party for any such claim, controversy, damage, or liability. I am aware that the Event Activities are vigorous activities involving severe cardiovascular stress and potential violent physical contact. I understand that the Event Activities involve certain risks, including but not limited to death, serious knee, head, neck and spinal injuries, brain damage, and serious injury to virtually all bones, joints, muscles, and internal organs, and that equipment provided for bodily protection may be inadequate to prevent serious injury. In addition, I understand that participation in 3x and lacrosse involve the possible reckless conduct of other participants. I am voluntarily participating or voluntarily allowing my child to participate in the Event Activities with knowledge of the dangers involved and hereby agree to accept and assume any and all risks of property damage, personal injury, or death. I give my consent to 3x and its agents to provide, through a medical staff of its choice, customary medical/athletic training attention, transportation and emergency medical services as warranted through the course of my or my child’s participation in the Event Activities. I understand that any photographs and videos taken of myself or my child during the Event are owned exclusively by 3x. I hereby grant my permission for all such photographs and videos to be published, reproduced, displayed, digitally transmitted, sold and offered for sale, and otherwise used, for any consideration and for any purpose by 3x and any of its licensees, promoters and vendors. I further agree to protect the Released Parties from and against any and all claims, damages, and losses (including attorneys’ fees) that may be imposed on, incurred by or asserted against the Released Parties, arising from, connected with, or related to any act or omission of me or my child while engaging in any Event Activities. I understand that this waiver is intended to be as broad and inclusive as permitted by applicable law and agree that if any portion is held invalid, the remainder of the waiver will continue in full legal force and effect. I further affirm that the venue for any legal proceedings shall be in Denver, Colorado. I affirm that I am of legal age and have authority to sign on my own behalf or for the minor child being registered, and am freely signing this agreement by typing my email address below. I have read this form and fully understand that by typing my email address and clicking the "Sign Up" button below, I am giving up legal rights and remedies that may be available to me or my child. Please type your email address or first and last name as an electronic signature acepting the terms of the above Waiver and Release.